Whether you go chasing waterfalls, words or woodland creatures, there's a little bit of everything in the UK's Lake District. 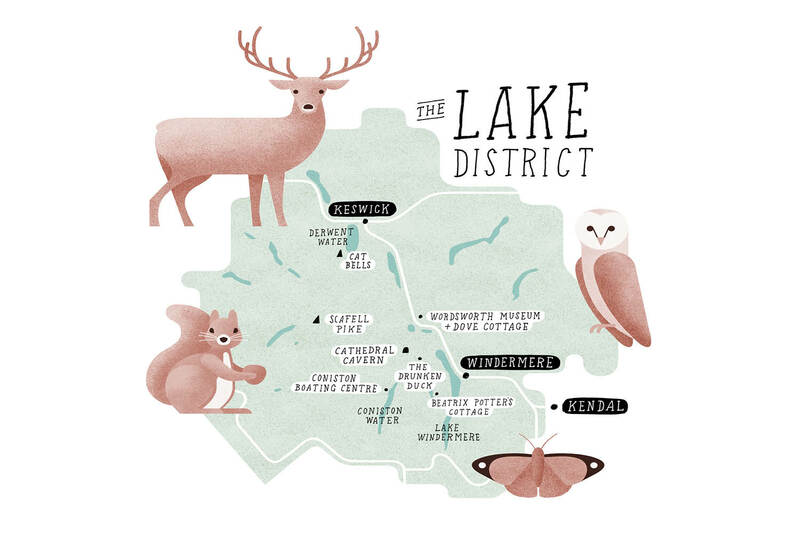 Discover the unique wildlife of The Lake District in the UK. Find your way through the Lake District of the UK. If William Wordsworth could have hopped on a flight to the US and admired the views afforded by the likes of Yosemite National Park, would he have waxed so lyrically about England’s good ol’ Lake District? Undoubtedly, the answer is yes. This is England at its most dramatic and gorgeously pastoral, where Wordsworth ‘Wandered lonely as a Cloud’, a place of such significant natural beauty that UNESCO thought it wise to inscribe its rugged collection of mountains and lakes as a World Heritage Site last July. It’s a landscape that has made an impact on the arts, inspiring the Picturesque and Romanticism movements in paintings and literature, not to mention author Beatrix Potter. For walkers there’s the highest mountain in England to climb and kayakers can explore the country’s largest lake, all of it woven with paths and lanes that lead to pretty villages and welcoming pubs. Head to the north-west of England to see what all the fuss is about and take this guide with you. Whether you go chasing waterfalls, words or woodland creatures, there’s a little bit of everything in the UK’s Lake District, for adventurers and romantics alike. 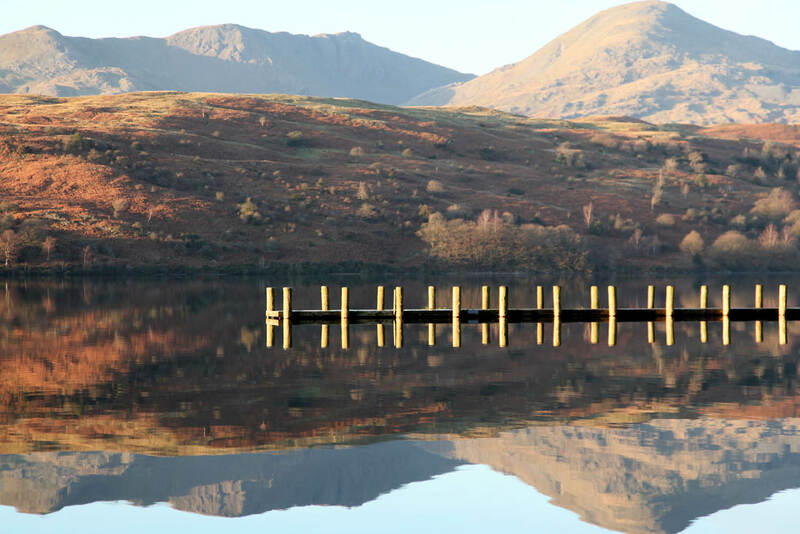 Hire everything here from a stand-up paddle board to a small sailing boat to a motor boat to cruise around Coniston Water. A two-man open kayak is fun to skirt the shoreline, and find a quiet spot for lunch. You can book something more adventurous too; try ‘gorge scrambling’ for instance, to climb up a waterfall with a guide. The cathedral-like, cavernous space of, well, Cathedral Quarry (commonly known as Cathedral Cave), is a nice change of scenery from all those expansive fells and mountains green. Take a torch to pass through the dark tunnels of this old green slate quarry system that come out into the main chamber, which appears to be held up by a large central pillar of rock. Take a look around Romantic master William Wordsworth’s quaint first family home, Dove Cottage, which he discovered on a walk here with his friend, the poet Samuel Taylor Coleridge, in 1799. The cottage still retains his family’s personal possessions and is where he wrote many of his most famous works. Then explore the poet’s handwritten notes and letters at the Wordsworth Museum, in an attractive renovated coach house adjacent to the cottage. Another great artist whose works are synonymous with the Lake District is Beatrix Potter. She lived in her 17th-century house in Hill Top near Lake Windermere for eight years and it proved to be the inspiration for many of her works and characters like Tom Kitten and Jemima Puddle-Duck. The classic English country garden is the highlight here – plan to visit during the warmer summer months to see it in full bloom, bursting with roses, foxgloves and peonies. Start from Little Town, which really is little, with no post office, shop or inn, and walk up the spine of this attractive fell that culminates in a scramble up some scree to its little summit. From here you’ll have magnificent views. It’s not all walking; take it easy and dine (and even stay)at one England’s finest gastro pubs. The Drunken Duck has a great selection of real ales from the adjoining Barngates Brewery and a hearty menu. Who doesn’t want to say they’ve climbed the biggest mountain in a country? Fortunately England’s highest, at 978 metres, is achievable in a day and is the best way to get a feel for the country of the lakes. You’ll see grey squirrels everywhere in the UK; an introduced pest from the States, they have largely wiped out their smaller cousin, the native red squirrel, of which there are only around 5000 left. Some of the Lake District’s secluded woodland, like that found on the Aira Force Glencoyne Farm walking trail, is still home to this shy but gorgeous animal. There’s not much in the way of big animals in the UK – this isn’t the Serengeti – but head to RSPB Haweswater reserve to catch sight of the biggest land mammal: the red deer. They grow up to 130 centimetres in height, an impressive beast if you’re able to catch sight of one of the stags. The best time to spot them is in rutting season from September to October. 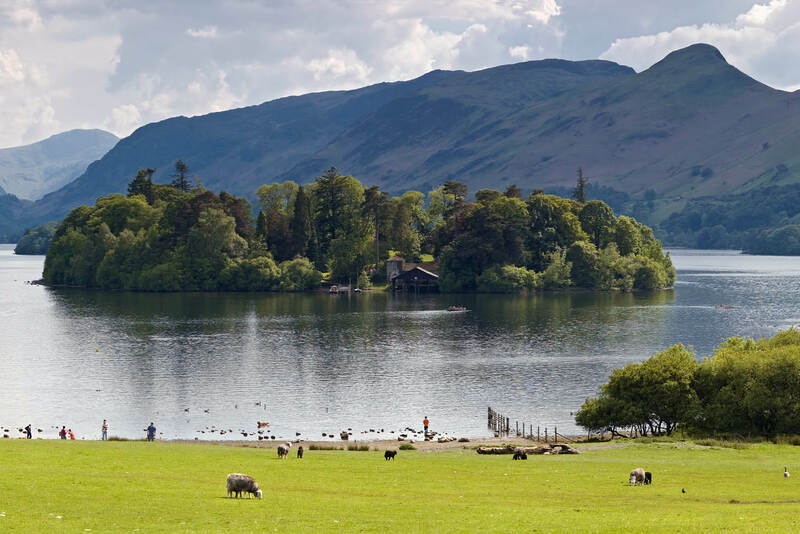 The Lake District sits in Cumbria, home to 60 per cent of the UK’s natterjack toads. A good place to see them is in the south-west foothills of the park – spot them in pools from April until mid-June at dusk or just before dawn. The characterful creature is recognisable for its striking yellow stripe that runs down its back, differentiating it from the common toad. The lakes are a perfect habitat for this fish-eating bird of prey that has a wingspan of up to five feet. Only about three in 10 birds survive to adulthood, but careful monitoring by the Lake District Osprey Project and the RSPB (Royal Society for the Protection of Birds) have seen numbers of this majestic bird rise here. The Lake District’s diverse mix of woodland, wetland, moorland, coastal dunes and limestone hills means that it hosts a surprising number of butterfly species – 41 in all; there are a total of 59 that breed in Great Britain. Three-quarters of species have been declining since the ’70s and the lakes – surely the best place in the UK to see them – have become the focus of various conservation efforts to save those that are vulnerable. For example, there’s an ongoing effort to restore the Marsh Fritillary’s niche habitat of damp, marshy grasslands. Butterflies are particularly susceptible to a changing climate (a wet summer can be disastrous for them), and so to raise numbers and awareness of their fragile nature, the Lake District Wildlife Park – with schoolchildren from the Cumbria area – released hundreds of Painted Lady butterflies earlier this year.